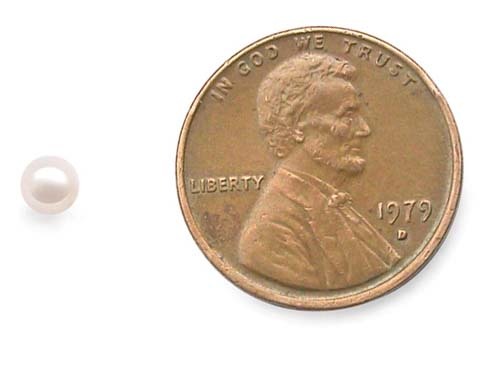 These coin pearls are huge. And they are 20-21mm in sizes which are quite rare. 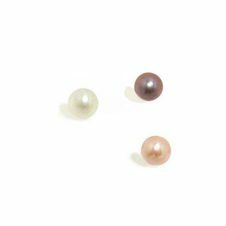 Even at such big sizes, they are still AA+ graded with very high luster and a few surface markings to show they are not made of plastics. 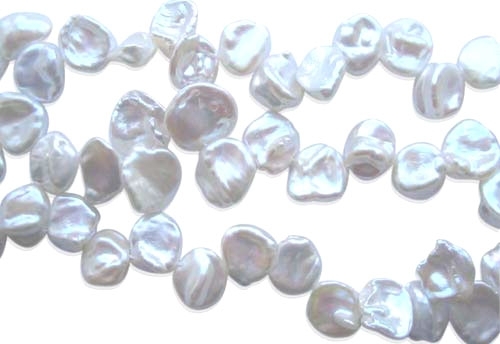 There are approximately 19 pearls on a strand at 15.5″ long. 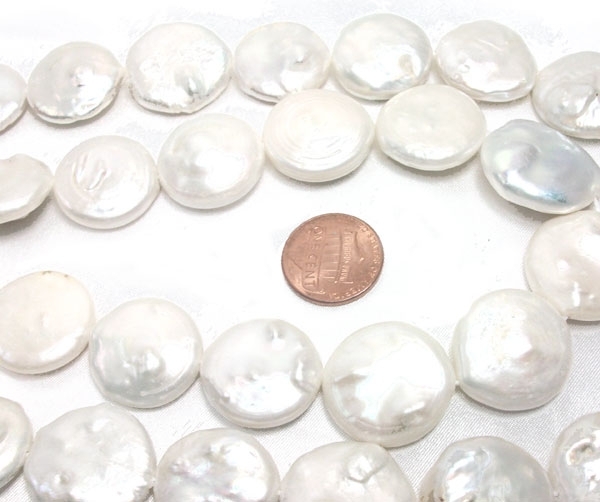 The necklace made with these huge sized flat coin pearls really are stunning. 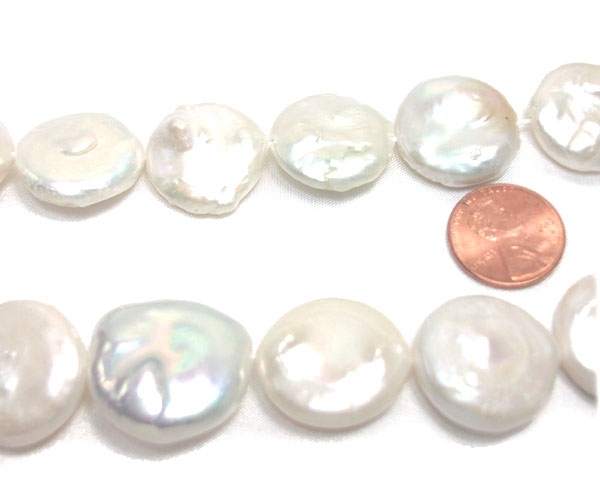 Only white colored coin pearls are available at this time.